This article is about the academic discipline. For the magazine, see National Endowment for the Humanities § Humanities magazine. Humanities are academic disciplines that study aspects of human society and culture. In the Renaissance, the term contrasted with divinity and referred to what is now called classics, the main area of secular study in universities at the time. Today, the humanities are more frequently contrasted with natural, and sometimes social, sciences as well as professional training. The humanities use methods that are primarily critical, or speculative, and have a significant historical element—as distinguished from the mainly empirical approaches of the natural sciences, yet, unlike the sciences, it has no central discipline. The humanities include ancient and modern languages, literature, philosophy, history, human geography, law, politics, religion, and art. Scholars in the humanities are "humanity scholars" or humanists. The term "humanist" also describes the philosophical position of humanism, which some "antihumanist" scholars in the humanities reject. 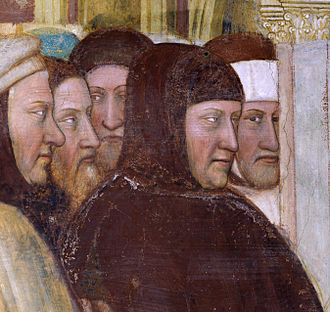 The Renaissance scholars and artists were also called humanists. Some secondary schools offer humanities classes usually consisting of literature, global studies and art. Human disciplines like history and cultural anthropology study subject matters that the manipulative experimental method does not apply to—and instead mainly use the comparative method and comparative research. Anthropology is the holistic "science of humans", a science of the totality of human existence. The discipline deals with the integration of different aspects of the social sciences, humanities and human biology. In the twentieth century, academic disciplines have often been institutionally divided into three broad domains. The natural sciences seek to derive general laws through reproducible and verifiable experiments. The humanities generally study local traditions, through their history, literature, music, and arts, with an emphasis on understanding particular individuals, events, or eras. The social sciences have generally attempted to develop scientific methods to understand social phenomena in a generalizable way, though usually with methods distinct from those of the natural sciences. The anthropological social sciences often develop nuanced descriptions rather than the general laws derived in physics or chemistry, or they may explain individual cases through more general principles, as in many fields of psychology. Anthropology (like some fields of history) does not easily fit into one of these categories, and different branches of anthropology draw on one or more of these domains. Within the United States, anthropology is divided into four sub-fields: archaeology, physical or biological anthropology, anthropological linguistics, and cultural anthropology. It is an area that is offered at most undergraduate institutions. The word anthropos (άνθρωπος) is from the Greek for "human being" or "person". Eric Wolf described sociocultural anthropology as "the most scientific of the humanities, and the most humanistic of the sciences". The goal of anthropology is to provide a holistic account of humans and human nature. This means that, though anthropologists generally specialize in only one sub-field, they always keep in mind the biological, linguistic, historic and cultural aspects of any problem. 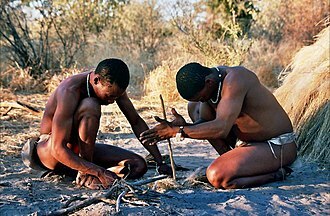 Since anthropology arose as a science in Western societies that were complex and industrial, a major trend within anthropology has been a methodological drive to study peoples in societies with more simple social organization, sometimes called "primitive" in anthropological literature, but without any connotation of "inferior". 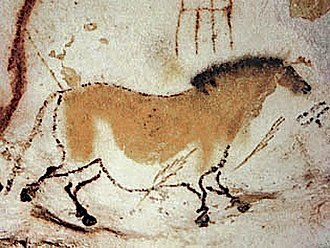 Today, anthropologists use terms such as "less complex" societies, or refer to specific modes of subsistence or production, such as "pastoralist" or "forager" or "horticulturalist", to discuss humans living in non-industrial, non-Western cultures, such people or folk (ethnos) remaining of great interest within anthropology. Archaeology is the study of human activity through the recovery and analysis of material culture. The archaeological record consists of artifacts, architecture, biofacts or ecofacts, and cultural landscapes. Archaeology can be considered both a social science and a branch of the humanities. It has various goals, which range from understanding culture history to reconstructing past lifeways to documenting and explaining changes in human societies through time. Archaeology is thought of as a branch of anthropology in the United States, while in Europe, it is viewed as a discipline in its own right, or grouped under other related disciplines such as history. Classics, in the Western academic tradition, refers to the studies of the cultures of classical antiquity, namely Ancient Greek and Latin and the Ancient Greek and Roman cultures. Classical studies is considered one of the cornerstones of the humanities; however, its popularity declined during the 20th century. Nevertheless, the influence of classical ideas on many humanities disciplines, such as philosophy and literature, remains strong. History is systematically collected information about the past. When used as the name of a field of study, history refers to the study and interpretation of the record of humans, societies, institutions, and any topic that has changed over time. Traditionally, the study of history has been considered a part of the humanities. In modern academia, history is occasionally classified as a social science. While the scientific study of language is known as linguistics and is generally considered a social science, a natural science or a cognitive science, the study of languages is still central to the humanities. A good deal of twentieth-century and twenty-first-century philosophy has been devoted to the analysis of language and to the question of whether, as Wittgenstein claimed, many of our philosophical confusions derive from the vocabulary we use; literary theory has explored the rhetorical, associative, and ordering features of language; and historical linguists have studied the development of languages across time. Literature, covering a variety of uses of language including prose forms (such as the novel), poetry and drama, also lies at the heart of the modern humanities curriculum. College-level programs in a foreign language usually include study of important works of the literature in that language, as well as the language itself. In common parlance, law means a rule that (unlike a rule of ethics) is enforceable through institutions. The study of law crosses the boundaries between the social sciences and humanities, depending on one's view of research into its objectives and effects. Law is not always enforceable, especially in the international relations context. It has been defined as a "system of rules", as an "interpretive concept" to achieve justice, as an "authority" to mediate people's interests, and even as "the command of a sovereign, backed by the threat of a sanction". However one likes to think of law, it is a completely central social institution. Legal policy incorporates the practical manifestation of thinking from almost every social science and discipline of the humanities. Laws are politics, because politicians create them. Law is philosophy, because moral and ethical persuasions shape their ideas. Law tells many of history's stories, because statutes, case law and codifications build up over time. And law is economics, because any rule about contract, tort, property law, labour law, company law and many more can have long-lasting effects on how productivity is organised and the distribution of wealth. The noun law derives from the late Old English lagu, meaning something laid down or fixed, and the adjective legal comes from the Latin word LEX. Shakespeare wrote some of the most acclaimed works in English literature. Literature is a term that does not have a universally accepted definition, but which has variably included all written work; writing that possesses literary merit; and language that foregrounds literariness, as opposed to ordinary language. Etymologically the term derives from Latin literatura/litteratura "writing formed with letters", although some definitions include spoken or sung texts. Literature can be classified according to whether it is fiction or non-fiction, and whether it is poetry or prose; it can be further distinguished according to major forms such as the novel, short story or drama; and works are often categorised according to historical periods, or according to their adherence to certain aesthetic features or expectations (genre). 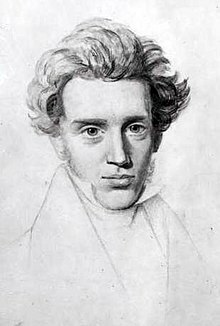 The works of Søren Kierkegaard overlap into many fields of the humanities, such as philosophy, literature, theology, music, and classical studies. Philosophy—etymologically, the "love of wisdom"—is generally the study of problems concerning matters such as existence, knowledge, justification, truth, justice, right and wrong, beauty, validity, mind, and language. Philosophy is distinguished from other ways of addressing these issues by its critical, generally systematic approach and its reliance on reasoned argument, rather than experiments (experimental philosophy being an exception). Philosophy used to be a very comprehensive term, including what have subsequently become separate disciplines, such as physics. (As Immanuel Kant noted, "Ancient Greek philosophy was divided into three sciences: physics, ethics, and logic.") Today, the main fields of philosophy are logic, ethics, metaphysics, and epistemology. Still, it continues to overlap with other disciplines. The field of semantics, for example, brings philosophy into contact with linguistics. Since the early twentieth century, philosophy in English-speaking universities has moved away from the humanities and closer to the formal sciences, becoming much more analytic. Analytic philosophy is marked by emphasis on the use of logic and formal methods of reasoning, conceptual analysis, and the use of symbolic and/or mathematical logic, as contrasted with the Continental style of philosophy. This method of inquiry is largely indebted to the work of philosophers such as Gottlob Frege, Bertrand Russell, G.E. Moore, and Ludwig Wittgenstein. The compass in this 13th-century manuscript is a symbol of God's act of creation. 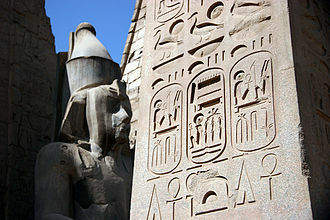 New philosophies and religions arose in both east and west, particularly around the 6th century BC. 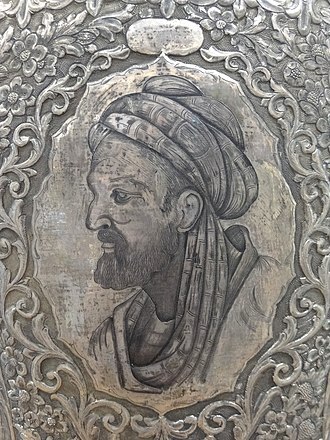 Over time, a great variety of religions developed around the world, with Hinduism, Sikhism, Jainism, and Buddhism in India, Zoroastrianism in Persia being some of the earliest major faiths. In the east, three schools of thought were to dominate Chinese thinking until the modern day. These were Taoism, Legalism, and Confucianism. The Confucian tradition, which would attain predominance, looked not to the force of law, but to the power and example of tradition for political morality. In the west, the Greek philosophical tradition, represented by the works of Plato and Aristotle, was diffused throughout Europe and the Middle East by the conquests of Alexander of Macedon in the 4th century BC. 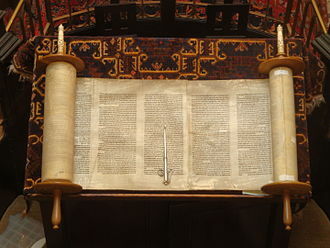 Abrahamic religions are those religions deriving from a common ancient tradition and traced by their adherents to Abraham (circa 1900 BCE), a patriarch whose life is narrated in the Hebrew Bible/Old Testament, where he is described as a prophet (Genesis 20:7), and in the Quran, where he also appears as a prophet. This forms a large group of related largely monotheistic religions, generally held to include Judaism, Christianity, and Islam, and comprises over half of the world's religious adherents. The performing arts differ from the visual arts in so far as the former uses the artist's own body, face, and presence as a medium, and the latter uses materials such as clay, metal, or paint, which can be molded or transformed to create some art object. Performing arts include acrobatics, busking, comedy, dance, film, magic, music, opera, juggling, marching arts, such as brass bands, and theatre. Artists who participate in these arts in front of an audience are called performers, including actors, comedians, dancers, musicians, and singers. Performing arts are also supported by workers in related fields, such as songwriting and stagecraft. Performers often adapt their appearance, such as with costumes and stage makeup, etc. There is also a specialized form of fine art in which the artists perform their work live to an audience. This is called Performance art. Most performance art also involves some form of plastic art, perhaps in the creation of props. Dance was often referred to as a plastic art during the Modern dance era. Musicology as an academic discipline can take a number of different paths, including historical musicology, ethnomusicology and music theory. Undergraduate music majors generally take courses in all of these areas, while graduate students focus on a particular path. In the liberal arts tradition, musicology is also used to broaden skills of non-musicians by teaching skills such as concentration and listening. Theatre (or theater) (Greek "theatron", θέατρον) is the branch of the performing arts concerned with acting out stories in front of an audience using combinations of speech, gesture, music, dance, sound and spectacle — indeed any one or more elements of the other performing arts. 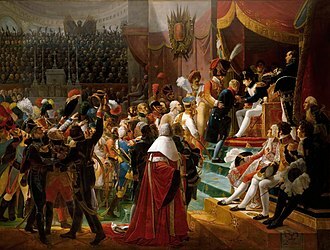 In addition to the standard narrative dialogue style, theatre takes such forms as opera, ballet, mime, kabuki, classical Indian dance, Chinese opera, mummers' plays, and pantomime. Dance (from Old French dancier, perhaps from Frankish) generally refers to human movement either used as a form of expression or presented in a social, spiritual or performance setting. Dance is also used to describe methods of non-verbal communication (see body language) between humans or animals (bee dance, mating dance), and motion in inanimate objects (the leaves danced in the wind). Choreography is the art of creating dances, and the person who does this is called a choreographer. Definitions of what constitutes dance are dependent on social, cultural, aesthetic, artistic, and moral constraints and range from functional movement (such as Folk dance) to codified, virtuoso techniques such as ballet. Quatrain on Heavenly Mountain by Emperor Gaozong (1107–1187) of Song Dynasty; fan mounted as album leaf on silk, four columns in cursive script. 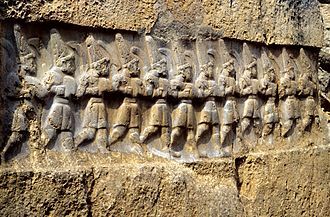 The great traditions in art have a foundation in the art of one of the ancient civilizations, such as Ancient Japan, Greece and Rome, China, India, Greater Nepal, Mesopotamia and Mesoamerica. 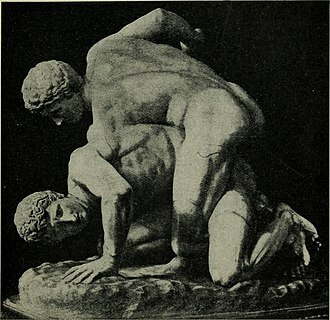 Ancient Greek art saw a veneration of the human physical form and the development of equivalent skills to show musculature, poise, beauty and anatomically correct proportions. Ancient Roman art depicted gods as idealized humans, shown with characteristic distinguishing features (e.g., Zeus' thunderbolt). In Byzantine and Gothic art of the Middle Ages, the dominance of the church insisted on the expression of biblical and not material truths. The Renaissance saw the return to valuation of the material world, and this shift is reflected in art forms, which show the corporeality of the human body, and the three-dimensional reality of landscape. Eastern art has generally worked in a style akin to Western medieval art, namely a concentration on surface patterning and local colour (meaning the plain colour of an object, such as basic red for a red robe, rather than the modulations of that colour brought about by light, shade and reflection). A characteristic of this style is that the local colour is often defined by an outline (a contemporary equivalent is the cartoon). This is evident in, for example, the art of India, Tibet and Japan. Religious Islamic art forbids iconography, and expresses religious ideas through geometry instead. The physical and rational certainties depicted by the 19th-century Enlightenment were shattered not only by new discoveries of relativity by Einstein and of unseen psychology by Freud, but also by unprecedented technological development. Increasing global interaction during this time saw an equivalent influence of other cultures into Western art. Drawing is a means of making a picture, using any of a wide variety of tools and techniques. It generally involves making marks on a surface by applying pressure from a tool, or moving a tool across a surface. Common tools are graphite pencils, pen and ink, inked brushes, wax color pencils, crayons, charcoals, pastels, and markers. Digital tools that simulate the effects of these are also used. The main techniques used in drawing are: line drawing, hatching, crosshatching, random hatching, scribbling, stippling, and blending. A computer aided designer who excels in technical drawing is referred to as a draftsman or draughtsman. 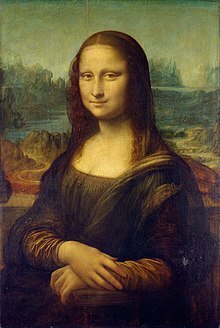 Mona Lisa, by Leonardo da Vinci, is one of the most recognizable artistic paintings in the Western world. Painting taken literally is the practice of applying pigment suspended in a carrier (or medium) and a binding agent (a glue) to a surface (support) such as paper, canvas or a wall. However, when used in an artistic sense it means the use of this activity in combination with drawing, composition and other aesthetic considerations in order to manifest the expressive and conceptual intention of the practitioner. Painting is also used to express spiritual motifs and ideas; sites of this kind of painting range from artwork depicting mythological figures on pottery to The Sistine Chapel to the human body itself. Colour is highly subjective, but has observable psychological effects, although these can differ from one culture to the next. Black is associated with mourning in the West, but elsewhere white may be. Some painters, theoreticians, writers and scientists, including Goethe, Kandinsky, Isaac Newton, have written their own colour theories. Moreover, the use of language is only a generalization for a colour equivalent. The word "red", for example, can cover a wide range of variations on the pure red of the spectrum. There is not a formalized register of different colours in the way that there is agreement on different notes in music, such as C or C# in music, although the Pantone system is widely used in the printing and design industry for this purpose. Modern artists have extended the practice of painting considerably to include, for example, collage. This began with cubism and is not painting in strict sense. Some modern painters incorporate different materials such as sand, cement, straw or wood for their texture. Examples of this are the works of Jean Dubuffet or Anselm Kiefer. Modern and contemporary art has moved away from the historic value of craft in favour of concept; this has led some[who?] to say that painting, as a serious art form, is dead, although this has not deterred the majority of artists from continuing to practise it either as whole or part of their work. The word "humanities" is derived from the Renaissance Latin expression studia humanitatis, or "study of humanitas" (a classical Latin word meaning—in addition to "humanity"—"culture, refinement, education" and, specifically, an"education befitting a cultivated man"). In its usage in the early 15th century, the studia humanitatis was a course of studies that consisted of grammar, poetry, rhetoric, history, and moral philosophy, primarily derived from the study of Latin and Greek classics. The word humanitas also gave rise to the Renaissance Italian neologism umanisti, whence "humanist", "Renaissance humanism". In the West, the study of the humanities can be traced to ancient Greece, as the basis of a broad education for citizens. 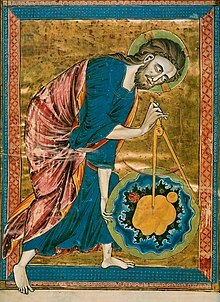 During Roman times, the concept of the seven liberal arts evolved, involving grammar, rhetoric and logic (the trivium), along with arithmetic, geometry, astronomy and music (the quadrivium). These subjects formed the bulk of medieval education, with the emphasis being on the humanities as skills or "ways of doing". A major shift occurred with the Renaissance humanism of the fifteenth century, when the humanities began to be regarded as subjects to study rather than practice, with a corresponding shift away from traditional fields into areas such as literature and history. In the 20th century, this view was in turn challenged by the postmodernist movement, which sought to redefine the humanities in more egalitarian terms suitable for a democratic society since the Greek and Roman societies in which the humanities originated were not at all democratic. This was in keeping with the postmodernists' nuanced view of themselves as the culmination of history. For many decades, there has been a growing public perception that a humanities education inadequately prepares graduates for employment. The common belief is that graduates from such programs face underemployment and incomes too low for a humanities education to be worth the investment. Many humanities graduates finish university with no career goals in mind. Consequently, many spend the first few years after graduation deciding what to do next, resulting in lower incomes at the start of their career; meanwhile, graduates from career-oriented programs experience more rapid entry into the labour market. However, usually within five years of graduation, humanities graduates find an occupation or career path that appeals to them. There is empirical evidence that graduates from humanities programs earn less than graduates from other university programs. However, the empirical evidence also shows that humanities graduates still earn notably higher incomes than workers with no postsecondary education, and have job satisfaction levels comparable to their peers from other fields. Humanities graduates also earn more as their careers progress; ten years after graduation, the income difference between humanities graduates and graduates from other university programs is no longer statistically significant. Humanities graduates can earn even higher incomes if they obtain advanced or professional degrees. The Humanities Indicators, unveiled in 2009 by the American Academy of Arts and Sciences, are the first comprehensive compilation of data about the humanities in the United States, providing scholars, policymakers and the public with detailed information on humanities education from primary to higher education, the humanities workforce, humanities funding and research, and public humanities activities. Modeled after the National Science Board's Science and Engineering Indicators, the Humanities Indicators are a source of reliable benchmarks to guide analysis of the state of the humanities in the United States. If "The STEM Crisis Is a Myth", statements about a "crisis" in the humanities are also misleading and ignore data of the sort collected by the Humanities Indicators. Through the humanities we reflect on the fundamental question: What does it mean to be human? The humanities offer clues but never a complete answer. They reveal how people have tried to make moral, spiritual, and intellectual sense of a world where irrationality, despair, loneliness, and death are as conspicuous as birth, friendship, hope, and reason. In 1950, a little over 1 percent of 22-year-olds in the United States had earned a humanities degrees (defined as a degree in English, language, history, philosophy); in 2010, this had doubled to about 2 and a half percent. In part, this is because there was an overall rise in the number of Americans who have any kind of college degree. (In 1940, 4.6 percent had a four-year degree; in 2016, 33.4 percent had one.) As a percentage of the type of degrees awarded, however, the humanities seem to be declining. Harvard University provides one example. In 1954, 36 percent of Harvard undergraduates majored in the humanities, but in 2012, only 20 percent took that course of study. Professor Benjamin Schmidt of Northeastern University has documented that between 1990 to 2008, degrees in English, history, foreign languages, and philosophy have decreased from 8 percent to just under 5 percent of all U.S. college degrees. The Commission on the Humanities and Social Sciences 2013 report The Heart of the Matter supports the notion of a broad "liberal arts education", which includes study in disciplines from the natural sciences to the arts as well as the humanities. Many colleges provide such an education; some require it. The University of Chicago and Columbia University were among the first schools to require an extensive core curriculum in philosophy, literature, and the arts for all students. Other colleges with nationally recognized, mandatory programs in the liberal arts are Fordham University, St. John's College, Saint Anselm College and Providence College. Prominent proponents of liberal arts in the United States have included Mortimer J. Adler and E. D. Hirsch, Jr.. Researchers in the humanities have developed numerous large- and small-scale digital corpora, such as digitized collections of historical texts, along with the digital tools and methods to analyze them. Their aim is both to uncover new knowledge about corpora and to visualize research data in new and revealing ways. Much of this activity occurs in a field called the digital humanities. Politicians in the United States currently espouse a need for increased funding of the STEM fields, science, technology, engineering, mathematics. Federal funding represents a much smaller fraction of funding for humanities than other fields such as STEM or medicine. The result was a decline of quality in both college and pre-college education in the humanities field. Without the humanities to teach us how history has succeeded or failed in directing the fruits of technology and science to the betterment of our tribe of homo sapiens, without the humanities to teach us how to frame the discussion and to properly debate the uses-and the costs-of technology, without the humanities to teach us how to safely debate how to create a more just society with our fellow man and woman, technology and science would eventually default to the ownership of—and misuse by—the most influential, the most powerful, the most feared among us. The contemporary debate in the field of critical university studies centers around the declining value of the humanities. As in America, there is a perceived decline in interest within higher education policy in research that is qualitative and does not produce marketable products. This threat can be seen in a variety of forms across Europe, but much critical attention has been given to the field of research assessment in particular. For example, the UK [Research Excellence Framework] has been subject to criticism due to its assessment criteria from across the humanities, and indeed, the social sciences. In particular, the notion of "impact" has generated significant debate. Since the late 19th century, a central justification for the humanities has been that it aids and encourages self-reflection—a self-reflection that, in turn, helps develop personal consciousness or an active sense of civic duty. Wilhelm Dilthey and Hans-Georg Gadamer centered the humanities' attempt to distinguish itself from the natural sciences in humankind's urge to understand its own experiences. This understanding, they claimed, ties like-minded people from similar cultural backgrounds together and provides a sense of cultural continuity with the philosophical past. Scholars in the late 20th and early 21st centuries extended that "narrative imagination" to the ability to understand the records of lived experiences outside of one's own individual social and cultural context. Through that narrative imagination, it is claimed, humanities scholars and students develop a conscience more suited to the multicultural world we live in. That conscience might take the form of a passive one that allows more effective self-reflection or extend into active empathy that facilitates the dispensation of civic duties a responsible world citizen must engage in. There is disagreement, however, on the level of influence humanities study can have on an individual and whether or not the understanding produced in humanistic enterprise can guarantee an "identifiable positive effect on people." Technology, politics and culturonics are designed to transform what their respective disciplines study: nature, society, and culture. 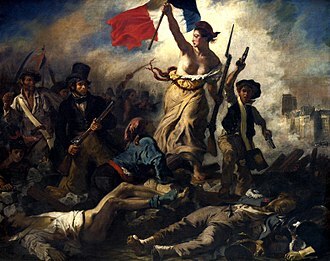 The field of transformative humanities includes various practicies and technologies, for example, language planning, the construction of new languages, like Esperanto, and invention of new artistic and literary genres and movements in the genre of manifesto, like Romanticism, Symbolism, or Surrealism. Humanistic invention in the sphere of culture, as a practice complementary to scholarship, is an important aspect of the humanities. The divide between humanistic study and natural sciences informs arguments of meaning in humanities as well. What distinguishes the humanities from the natural sciences is not a certain subject matter, but rather the mode of approach to any question. Humanities focuses on understanding meaning, purpose, and goals and furthers the appreciation of singular historical and social phenomena—an interpretive method of finding "truth"—rather than explaining the causality of events or uncovering the truth of the natural world. Apart from its societal application, narrative imagination is an important tool in the (re)production of understood meaning in history, culture and literature. Some, like Stanley Fish, have claimed that the humanities can defend themselves best by refusing to make any claims of utility. (Fish may well be thinking primarily of literary study, rather than history and philosophy.) Any attempt to justify the humanities in terms of outside benefits such as social usefulness (say increased productivity) or in terms of ennobling effects on the individual (such as greater wisdom or diminished prejudice) is ungrounded, according to Fish, and simply places impossible demands on the relevant academic departments. Furthermore, critical thinking, while arguably a result of humanistic training, can be acquired in other contexts. And the humanities do not even provide any more the kind of social cachet (what sociologists sometimes call "cultural capital") that was helpful to succeed in Western society before the age of mass education following World War II. Instead, scholars like Fish suggest that the humanities offer a unique kind of pleasure, a pleasure based on the common pursuit of knowledge (even if it is only disciplinary knowledge). Such pleasure contrasts with the increasing privatization of leisure and instant gratification characteristic of Western culture; it thus meets Jürgen Habermas' requirements for the disregard of social status and rational problematization of previously unquestioned areas necessary for an endeavor which takes place in the bourgeois public sphere. In this argument, then, only the academic pursuit of pleasure can provide a link between the private and the public realm in modern Western consumer society and strengthen that public sphere that, according to many theorists,[who?] is the foundation for modern democracy. Others, like Mark Bauerlein, argue that professors in the humanities have increasingly abandoned proven methods of epistemology (I care only about the quality of your arguments, not your conclusions.) in favor of indoctrination (I care only about your conclusions, not the quality of your arguments.). The result is that professors and their students adhere rigidly to a limited set of viewpoints, and have little interest in, or understanding of, opposing viewpoints. Once they obtain this intellectual self-satisfaction, persistent lapses in learning, research, and evaluation are common. Implicit in many of these arguments supporting the humanities are the makings of arguments against public support of the humanities. Joseph Carroll asserts that we live in a changing world, a world where "cultural capital" is replaced with scientific literacy, and in which the romantic notion of a Renaissance humanities scholar is obsolete. Such arguments appeal to judgments and anxieties about the essential uselessness of the humanities, especially in an age when it is seemingly vitally important for scholars of literature, history and the arts to engage in "collaborative work with experimental scientists or even simply to make "intelligent use of the findings from empirical science." ^ Oxford English Dictionary 3rd Edition. ^ Bod, Rens (2013-11-14). A New History of the Humanities: The Search for Principles and Patterns from Antiquity to the Present. Oxford University Press. doi:10.1093/acprof:oso/9780199665211.001.0001. ISBN 9780199665211. ^ Stanford University, Stanford University. "What are the Humanities". Stanford Humanities Center. Stanford University. Retrieved 16 July 2016. ^ Wallerstein, I. (2003). "Anthropology, Sociology, and Other Dubious Disciplines". Current Anthropology. 44 (4): 453–465. doi:10.1086/375868. ^ Lowie, Robert (1924). Primitive Religion. Routledge and Sons. ; Tylor, Edward (1920). Primitive Culture. New York:: J. P. Putnam's Sons. Originally published 1871. ^ Sinclair, Anthony (2016). "The Intellectual Base of Archaeological Research 2004-2013: a visualisation and analysis of its disciplinary links, networks of authors and conceptual language". Internet Archaeology (42). doi:10.11141/ia.42.8. ^ "Social Science Majors, University of Saskatchewan". Archived from the original on 2015-09-06. Retrieved 2016-02-06. ^ Boeckx, Cedric. "Language as a Natural Object; Linguistics as a Natural Science" (PDF). Archived from the original (PDF) on 2010-07-23. ^ Hart, H. L. A. (1961). The Concept of Law. Oxford University Press. ISBN 0-19-876122-8. ^ Dworkin, Ronald (1986). Law's Empire. Harvard University Press. ISBN 0-674-51836-5. ^ Raz, Joseph (1979). The Authority of Law. Oxford University Press. ISBN 0-19-956268-7. ^ Thomas Nagel (1987). What Does It All Mean? A Very Short Introduction to Philosophy. Oxford University Press, pp. 4–5. ^ Kant, Immanuel (1785). Groundwork of the Metaphysic of Morals, the first line. ^ See, e.g., Brian Leiter  "'Analytic' philosophy today names a style of doing philosophy, not a philosophical program or a set of substantive views. Analytic philosophers, crudely speaking, aim for argumentative clarity and precision; draw freely on the tools of logic; and often identify, professionally and intellectually, more closely with the sciences and mathematics than with the humanities." ^ Turney, Jon (2003-09-06). "Does time fly?". The Guardian. London. Retrieved 2008-05-01. ^ "Internet Modern History Sourcebook: Darwin, Freud, Einstein, Dada". www.fordham.edu. Retrieved 2008-05-01. ^ Bod, Rens; A New History of the Humanities, Oxford University Press, Oxford, 2014. ^ Levi, Albert W.; The Humanities Today, Indiana University Press, Bloomington, 1970. ^ Hersh, Richard H. (1997-03-01). "Intention and Perceptions A National Survey of Public Attitudes Toward Liberal Arts Education". Change: The Magazine of Higher Learning. 29 (2): 16–23. doi:10.1080/00091389709603100. ISSN 0009-1383. ^ Williams, Mary Elizabeth. "Hooray for "worthless" education!". Salon. Retrieved 2017-02-28. ^ Kreager, Philip. "Humanities graduates and the British economy: The hidden impact" (PDF). ^ a b Adamuti-Trache, Maria; et al. (2006). "The Labour Market Value of Liberal Arts and Applied Education Programs: Evidence from British Columbia". Canadian Journal of Higher Education. 36: 49–74. ^ Koc, Edwin W (2010). "The Liberal Arts Graduate College Hiring Market". National Association of Colleges and Employers: 14–21. ^ "Ten Years After College: Comparing the Employment Experiences of 1992–93 Bachelor's Degree Recipients With Academic and Career Oriented Majors" (PDF). ^ "The Cumulative Earnings of Postsecondary Graduates Over 20 Years: Results by Field of Study". ^ "Earnings of Humanities Majors with a Terminal Bachelor's Degree". ^ "Career earnings by college major". ^ The State of the Humanities 2018: Graduates in the Workforce & Beyond. Cambridge, Massachusetts: American Academy of Arts and Sciences. 2018. pp. 5–6, 12, 19. ^ "Boost in Median Annual Earnings Associated with Obtaining an Advanced Degree, by Gender and Field of Undergraduate Degree". ^ "Earnings of Humanities Majors with an Advanced Degree". ^ "American Academy of Arts & Sciences". Amacad.org. 2013-11-14. Retrieved 2014-01-04. ^ "Humanities Indicators". Humanities Indicators. Retrieved 2014-01-04. ^ Charette, Robert N. (2013-08-30). "The STEM Crisis Is a Myth – IEEE Spectrum". Spectrum.ieee.org. Retrieved 2014-01-04. ^ Schmidt, Ben. "A Crisis in the Humanities? (10 June 2013)". The Chronicle. Retrieved 4 February 2018. ^ Wilson, Reid (4 March 2017). "Census: More Americans have college degrees than ever before". The Hill. Retrieved 4 February 2018. ^ Schuessler, Jennifer (18 June 2013). "Humanities Committee Sounds an Alarm". New York Times. Retrieved 4 February 2018. ^ Smith, Noah (14 August 2018). "The Great Recession Never Ended for College Humanities". Bloomberg. ^ Louis Menand, "The Problem of General Education," in The Marketplace of Ideas (W. W. Norton, 2010), especially pp. 32–43. ^ Adler, Mortimer J.; "A Guidebook to Learning: For the Lifelong Pursuit of Wisdom"
^ "Whitehouse.gov". Archived from the original on 2014-10-21. Retrieved 2014-10-29. ^ Bulaitis, Zoe (31 October 2017). "Measuring impact in the humanities: Learning from accountability and economics in a contemporary history of cultural value". Palgrave Communications. 3 (1). doi:10.1057/s41599-017-0002-7. ^ Dilthey, Wilhelm. The Formation of the Historical World in the Human Sciences, 103. ^ von Wright, Moira. "Narrative imagination and taking the perspective of others," Studies in Philosophy and Education 21, 4–5 (July, 2002), 407–416. ^ a b Nussbaum, Martha. Cultivating Humanity. ^ Harpham, Geoffrey (2005). "Beneath and Beyond the Crisis of the Humanities". New Literary History. 36: 21–36. doi:10.1353/nlh.2005.0022. ^ Bauerlein, Mark (13 November 2014). "Theory and the Humanities, Once More". Inside Higher Ed. Retrieved 27 February 2016. Jay treats it [theory] as transformative progress, but it impressed us as hack philosophizing, amateur social science, superficial learning, or just plain gamesmanship. ^ ""Theory," Anti-Theory, and Empirical Criticism," Biopoetics: Evolutionary Explorations in the Arts, Brett Cooke and Frederick Turner, eds., Lexington, Kentucky: ICUS Books, 1999, pp. 144–145. 152. Wikimedia Commons has media related to Humanities. Law is a system of rules that are created and enforced through social or governmental institutions to regulate behavior. Law as a system helps regulate and ensure that a community show respect, private individuals can create legally binding contracts, including arbitration agreements that may elect to accept alternative arbitration to the normal court process. The formation of laws themselves may be influenced by a constitution, written or tacit, the law shapes politics, economics and society in various ways and serves as a mediator of relations between people. Islamic Sharia law is the worlds most widely used religious law, the adjudication of the law is generally divided into two main areas referred to as Criminal law and Civil law. Criminal law deals with conduct that is considered harmful to social order, Civil law deals with the resolution of lawsuits between individuals or organizations. Law provides a source of scholarly inquiry into legal history, economic analysis. Law raises important and complex issues concerning equality, there is an old saying that all are equal before the law, although Jonathan Swift argued that Laws are like cobwebs, which may catch small flies, but let wasps and hornets break through. In 1894, the author Anatole France said sarcastically, In its majestic equality, the law forbids rich and poor alike to sleep under bridges, beg in the streets, and steal loaves of bread. Writing in 350 BC, the Greek philosopher Aristotle declared, The rule of law is better than the rule of any individual, mikhail Bakunin said, All law has for its object to confirm and exalt into a system the exploitation of the workers by a ruling class. Cicero said more law, less justice, marxist doctrine asserts that law will not be required once the state has withered away. Regardless of ones view of the law, it today a completely central institution. Numerous definitions of law have been put forward over the centuries, at the same time, it plays only one part in the congeries of rules which influence behavior, for social and moral rules of a less institutionalized kind are of great importance. There have been attempts to produce a universally acceptable definition of law. In 1972, one indicated that no such definition could be produced. 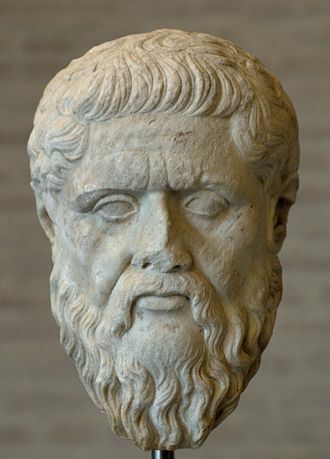 Plato was a philosopher in Classical Greece and the founder of the Academy in Athens, the first institution of higher learning in the Western world. 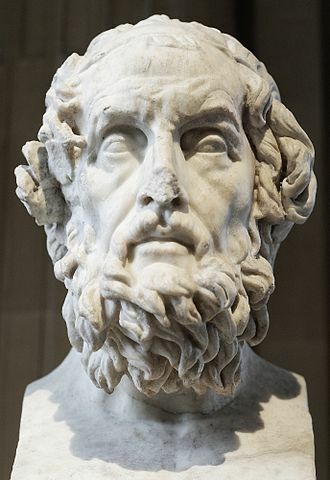 He is widely considered the most pivotal figure in the development of philosophy, unlike nearly all of his philosophical contemporaries, Platos entire work is believed to have survived intact for over 2,400 years. Along with his teacher and his most famous student, Plato laid the foundations of Western philosophy. Alfred North Whitehead once noted, the safest general characterization of the European philosophical tradition is that it consists of a series of footnotes to Plato. In addition to being a figure for Western science, philosophy. Friedrich Nietzsche, amongst other scholars, called Christianity, Platonism for the people, Plato was the innovator of the written dialogue and dialectic forms in philosophy, which originate with him. He was not the first thinker or writer to whom the word “philosopher” should be applied, few other authors in the history of Western philosophy approximate him in depth and range, perhaps only Aristotle and Kant would be generally agreed to be of the same rank. Due to a lack of surviving accounts, little is known about Platos early life, the philosopher came from one of the wealthiest and most politically active families in Athens. Ancient sources describe him as a bright though modest boy who excelled in his studies, the exact time and place of Platos birth are unknown, but it is certain that he belonged to an aristocratic and influential family. 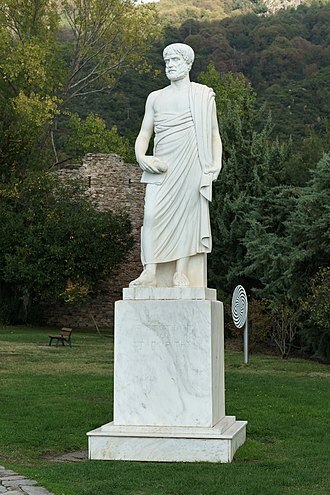 Based on ancient sources, most modern scholars believe that he was born in Athens or Aegina between 429 and 423 BCE. According to a tradition, reported by Diogenes Laertius, Ariston traced his descent from the king of Athens, Codrus. Platos mother was Perictione, whose family boasted of a relationship with the famous Athenian lawmaker, besides Plato himself and Perictione had three other children, these were two sons and Glaucon, and a daughter Potone, the mother of Speusippus. The brothers Adeimantus and Glaucon are mentioned in the Republic as sons of Ariston, and presumably brothers of Plato, but in a scenario in the Memorabilia, Xenophon confused the issue by presenting a Glaucon much younger than Plato. Classics or Classical Studies is the study of classical antiquity. It encompasses the study of the Graeco-Roman world, particularly of its languages, and literature but it encompasses the study of Graeco-Roman philosophy and archaeology. Traditionally in the West, the study of the Greek and Roman classics was considered one of the cornerstones of the humanities and it has been traditionally a cornerstone of a typical elite education. The word Classics is derived from the Latin adjective classicus, meaning belonging to the highest class of citizens, the word was originally used to describe the members of the highest class in ancient Rome. By the 2nd century AD the word was used in literary criticism to describe writers of the highest quality, for example, Aulus Gellius, in his Attic Nights, contrasts classicus and proletarius writers. By the 6th century AD, the word had acquired a meaning, referring to pupils at a school. Thus the two meanings of the word, referring both to literature considered to be of the highest quality, and to the standard texts used as part of a curriculum. In the Middle Ages and education were tightly intertwined, according to Jan Ziolkowski, while Latin was hugely influential, Greek was barely studied, and Greek literature survived almost solely in Latin translation. 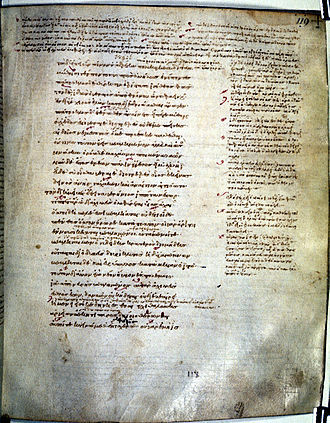 The works of even major Greek authors such as Hesiod, whose names continued to be known by educated Europeans, were unavailable in the Middle Ages. Along with the unavailability of Greek authors, there were differences between the classical canon known today and the works valued in the Middle Ages. Catullus, for instance, was almost entirely unknown in the medieval period, the Renaissance led to the increasing study of both ancient literature and ancient history, as well as a revival of classical styles of Latin. 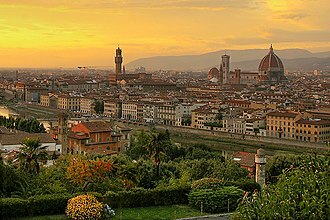 From the 14th century, first in Italy and increasingly across Europe, Renaissance Humanism, Humanism saw a reform in education in Europe, introducing a wider range of Latin authors as well as bringing back the study of Greek language and literature to Western Europe. This reintroduction was initiated by Petrarch and Boccaccio who commissioned a Calabrian scholar to translate the Homeric poems, the late 17th and 18th centuries are the period in Western European literary history which is most associated with the classical tradition, as writers consciously adapted classical models. Human geography attends to human patterns of social interaction, as well as spacial level interdependencies, and how they influence or affect the earths environment. 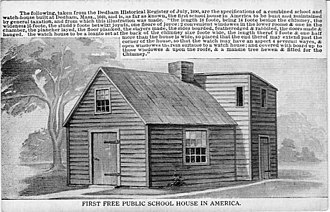 Geography was not recognized as an academic discipline until the 18th century, although many scholars had undertaken geographical scholarship for much longer. The Royal Geographical Society was founded in England in 1830, although the United Kingdom did not get its first full Chair of geography until 1917, the first real geographical intellect to emerge in United Kingdoms geographical minds was Halford John Mackinder, appointed reader at Oxford University in 1887. The society has long supported geographic research and education on geographical topics, though a physician and a pioneer of epidemiology, the map is probably one of the earliest examples of health geography. The now fairly distinct differences between the subfields of physical and human geography have developed at a date, environmental determinism is the theory, that peoples physical and moral habits are directly due to the influence of their natural environment. However, by the century, environmental determinism was under attack for lacking methodological rigor associated with modern science. A similar concern with human and physical aspects is apparent during the 19th and first half of the 20th centuries focused on regional geography. With links to possibilism and cultural ecology, some of the notions of causal effect of the environment on society. By the 1960s, the revolution led to strong criticism of regional geography. 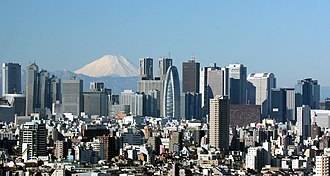 Well-known geographers from this period are Fred K. Schaefer, Waldo Tobler, William Garrison, Peter Haggett, Richard J. Chorley, William Bunge, from the 1970s, a number of critiques of the positivism now associated with geography emerged. Known under the term critical geography, these critiques signaled another turning point in the discipline, behavioral geography emerged for some time as a means to understand how people made perceived spaces and places, and made locational decisions. 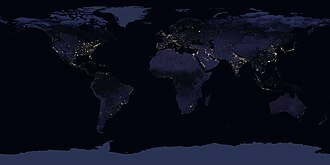 The more influential radical geography emerged in the 1970s and 1980s and it draws heavily on Marxists theory and techniques, and is associated with geographers such as David Harvey and Richard Peet. Culture-historical archaeology is an archaeological theory that emphasises defining historical societies into distinct ethnic and cultural groupings according to their material culture. It originated in the nineteenth century as cultural evolutionism began to fall out of favor with many antiquarians. It was gradually superseded in the century by processual archaeology. First developing in Germany among those archaeologists surrounding Rudolf Virchow, culture-historical ideas would be popularised by Gustaf Kossinna, culture-historical thought would be introduced to British archaeology by V. Gordon Childe in the late 1920s. In the United Kingdom and United States, culture-history came to be supplanted as the dominant theoretical paradigm in archaeology during the 1960s, elsewhere in the world, culture-historical ideas continue to dominate. Webster noted that the defining feature of culture-historical thought was its emphasis on classification. Culture-historical archaeology arose during a tumultuous time in European intellectual thought. The Industrial Revolution had spread across many nations, leading to the creation of urban centres. This new urban working class had begun to develop a voice through socialism. This latter view was taken up by the Romanticist movement, which was made up of artists and writers. As a result of this, archaeologists had come to realise that there was a great deal of variability in the artefacts uncovered across the continent. Many felt that this variability was not comfortably explained by preexisting evolutionary paradigms, culture-historical archaeology adopted the concept of culture from anthropology, where cultural evolutionary ideas had begun to be criticised. Having been inspired and influenced by European nationalism, in turn, culture-historical archaeology first developed in Germany in the late 19th century. Appointed Professor of Archaeology at the University of Berlin, in 1909 he founded the German Society for Prehistory and he divided each of these cultural groupings into smaller cultures, or tribes, for instance dividing the Germans up into Saxons, Vandals and Burgundians. Cultural anthropology is a branch of anthropology focused on the study of cultural variation among humans. It is in contrast to social anthropology, which perceives cultural variation as a subset of the anthropological constant, a variety of methods are involved in cultural anthropological, including participant observation and surveys. The term civilization gave way to definitions given by V. Gordon Childe, with forming an umbrella term. Anthropologists have argued that culture is human nature, and that all people have a capacity to classify experiences, encode classifications symbolically, since humans acquire culture through the learning processes of enculturation and socialization, people living in different places or different circumstances develop different cultures. Anthropologists have pointed out that through culture people can adapt to their environment in non-genetic ways, much of anthropological theory has originated in an appreciation of and interest in the tension between the local and the global. Colonialism and its processes increasingly brought European thinkers into direct or indirect contact with primitive others, the umbrella term socio-cultural anthropology draws upon both cultural and social anthropology traditions. Anthropology is with the lives of people within different parts of the world, particularly in relation to the discourse of beliefs, in addressing this question, ethnologists in the 19th century divided into two schools of thought. 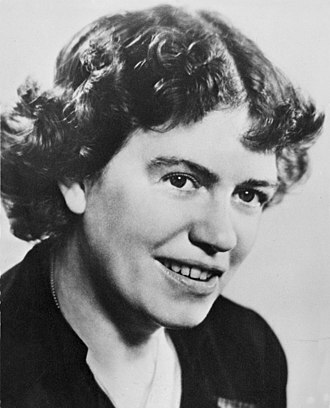 Other ethnologists argued that different groups had the capability of creating similar beliefs, Morgan, in particular, acknowledged that certain forms of society and culture could not possibly have arisen before others. 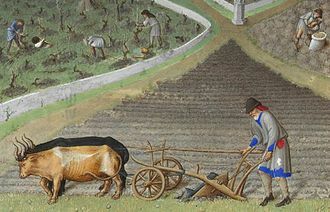 For example, industrial farming could not have been invented before simple farming, like other 19th century social evolutionists, believed there was a more or less orderly progression from the primitive to the civilized. Some 20th-century ethnologists, like Julian Steward, have argued that such similarities reflected similar adaptations to similar environments. But these ethnographers pointed out the superficiality of such similarities. They noted that even traits that spread through diffusion often were given different meanings, such as Claude Lévi-Strauss, have argued that apparently similar patterns of development reflect fundamental similarities in the structure of human thought. Cultural relativism is a principle that was established as axiomatic in anthropological research by Franz Boas, Boas first articulated the idea in 1887. civilization is not something absolute, but. is relative, and. Our ideas and conceptions are only so far as our civilization goes. Although, Boas did not coin the term, it became common among anthropologists after Boas death in 1942, to express their synthesis of a number of ideas Boas had developed. Boas believed that the sweep of cultures, to be found in connection with any sub-species, is so vast, Cultural relativism involves specific epistemological and methodological claims. Whether or not these claims require a specific ethical stance is a matter of debate and this principle should not be confused with moral relativism. An artifact or artefact is. something made or given shape by man, such as a tool or a work of art, esp an object of archaeological interest. In archaeology, the word has become a term of particular nuance and is defined as, an object recovered by archaeological endeavor, which may have a cultural interest. However, modern archaeologists take care to distinguish material culture from ethnicity, examples include stone tools, pottery vessels, metal objects such as weapons, and items of personal adornment such as buttons and clothing. Bones that show signs of modification are examples. Natural objects, such as fire cracked rocks from a hearth or plant material used for food, are classified by archeologists as ecofacts rather than as artifacts, natural objects that humans have moved but not changed are called manuports. Examples include seashells moved inland, or rounded pebbles placed away from the action that made them. For instance, a bone removed from a carcass is a biofact. Similarly there can be debate over early stone objects that could be either crude artifacts or naturally occurring and it can be difficult to distinguish the differences between actual man-made lithic artifacts and geofacts – naturally occurring lithics that resemble man-made tools. Continental philosophy is a set of 19th- and 20th-century philosophical traditions from mainland Europe. This sense of the term originated among English-speaking philosophers in the half of the 20th century. It is difficult to identify non-trivial claims that would be common to all the preceding philosophical movements, the term continental philosophy, like analytic philosophy, lacks clear definition and may mark merely a family resemblance across disparate philosophical views. Simon Glendinning has suggested that the term was originally more pejorative than descriptive, Michael E. Rosen has ventured to identify common themes that typically characterize continental philosophy. First, continental philosophers generally reject the view that the sciences are the only or most accurate way of understanding natural phenomena. This contrasts with many analytic philosophers who consider their inquiries as continuous with, or subordinate to, thus continental philosophy tends toward historicism. This tendency is very clear in the Marxist tradition, but is central in existentialism and post-structuralism. A final characteristic trait of continental philosophy is an emphasis on metaphilosophy, in the wake of the development and success of the natural sciences, continental philosophers have often sought to redefine the method and nature of philosophy. In some cases, this manifests as a renovation of the view that philosophy is the first, foundational. In other cases, it is held that philosophy investigates a domain that is irreducibly cultural or practical, and some continental philosophers doubt whether any conception of philosophy can coherently achieve its stated goals. This tradition, which has come to be known broadly as analytic philosophy, became dominant in Britain and Moore made a dismissal of Hegelianism and its philosophical relatives a distinctive part of their new movement. Self-described analytic philosophy flourishes in France, including such as Jules Vuillemin, Vincent Descombes, Gilles Gaston Granger, François Recanati. Continental philosophy is defined in terms of a family of philosophical traditions. The history of philosophy is usually thought to begin with German idealism. As the institutional roots of continental philosophy in many cases directly descend from those of phenomenology, Husserl is a respected subject of study in the analytic tradition. J. G.
Literature, in its broadest sense, is any single body of written works. Its Latin root literatura/litteratura was used to refer to all written accounts, developments in print technology have allowed an evergrowing distribution and proliferation of written works, culminating in electronic literature. There have been attempts to define literature. Simon and Delyse Ryan begin their attempt to answer the question What is Literature, with the observation, The quest to discover a definition for literature is a road that is much travelled, though the point of arrival, if ever reached, is seldom satisfactory. Most attempted definitions are broad and vague, and they change over time. In fact, the thing that is certain about defining literature is that the definition will change. Concepts of what is literature change over time as well, definitions of literature have varied over time, it is a culturally relative definition. In Western Europe prior to the century, literature as a term indicated all books. A more restricted sense of the term emerged during the Romantic period, contemporary debates over what constitutes literature can be seen as returning to the older, more inclusive notion of what constitutes literature. Cultural studies, for instance, takes as its subject of both popular and minority genres, in addition to canonical works. The value judgment definition of literature considers it to cover exclusively those writings that possess high quality or distinction and this sort of definition is that used in the Encyclopædia Britannica Eleventh Edition when it classifies literature as the best expression of the best thought reduced to writing. The formalist definition is that literature foregrounds poetic effects, it is the literariness or poetic of literature that distinguishes it from ordinary speech or other kinds of writing. Etymologically, the term derives from Latin literatura/litteratura learning, a writing, originally writing formed with letters, in spite of this, the term has been applied to spoken or sung texts. A cultural landscape, as defined by the World Heritage Committee, is the cultural properties represent the combined works of nature and of man. The concept of cultural landscapes can be found in the European tradition of landscape painting, the word landscape itself combines land with a verb of Germanic origin, scapjan/ schaffen to mean, shaped lands. Lands were considered shaped by natural forces, and the details of such landshaffen became themselves the subject of landscape paintings. The geographer Otto Schlüter is credited with having first formally used “cultural landscape” as a term in the early 20th century. In 1908, Schlüter argued that by defining geography as a Landschaftskunde this would give geography a logical subject matter shared by no other discipline. He defined two forms of landscape, the Urlandschaft or landscape that existed before major human induced changes, the major task of geography was to trace the changes in these two landscapes. It was Carl O. Sauer, a geographer, who was probably the most influential in promoting and developing the idea of cultural landscapes. Sauer was determined to stress the agency of culture as a force in shaping the visible features of the Earth’s surface in delimited areas, within his definition, the physical environment retains a central significance, as the medium with and through which human cultures act. His classic definition of a cultural landscape reads as follows, “The cultural landscape is fashioned from a landscape by a cultural group. There is still a dominant view of landscapes as a surface, akin to a map or a text, from which cultural meaning. Within academia, any system of interaction between human activity and natural habitat is regarded as a cultural landscape, the mountains at the heart of the park have cultural and religious significance for the Maori people and symbolize the spiritual links between this community and its environment. The park has active and extinct volcanoes, a range of ecosystems. This park, formerly called Uluru National Park, features spectacular geological formations that dominate the vast red sandy plain of central Australia. Secularity is the state of being separate from religion, or of not being exclusively allied with or against any particular religion. Historically, the secular was not related or linked to religion. The idea of a dichotomy between religion and the secular originated in the 18th century European Enlightenment, one can regard eating and bathing as examples of secular activities, because there may not be anything inherently religious about them. Nevertheless, some religious traditions see both eating and bathing as sacraments, therefore making them religious activities within those world views, saying a prayer derived from religious text or doctrine, worshipping through the context of a religion, and attending a religious school are examples of religious activities. The secular is experienced in diverse ways ranging from separation of religion and state to being anti-religion or even pro-religion, a related term, involves the principle that government institutions and their representatives should remain separate from religious institutions, their beliefs, and their dignitaries. Many businesses and corporations, and some operate on secular lines. This stands in contrast to theocracy, government with deity as its highest authority and secularity derive from the Latin word saeculum which meant of a generation, belonging to an age or denoted a period of about one hundred years. In the ancient world, saeculum was not defined in contrast to any sacred concerns and had a usage in Latin. It was in Christian Latin of medieval times, that saeculum was used for distinguishing this temporal age of the world from the realm of God. The Christian doctrine that God exists outside time led medieval Western culture to use secular to indicate separation from specifically religious affairs and involvement in temporal ones. This does not necessarily imply hostility to God or religion, though some use the term this way, routinization — institutionalizing through integration into the society. Differentiation — a redefined place such as when accepting its status as one religion in a plural religious field or morphing into a more generic, disengagement — the detachment of certain facets of social life from religion. Diogenes Laertius is a principal source for the history of ancient Greek philosophy. Through his mother, Plato was related to Solon. 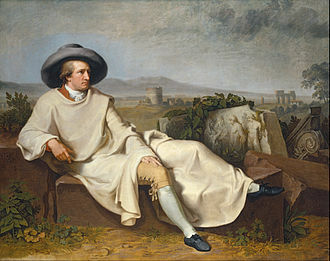 The eighteenth-century classicist Friedrich August Wolf was the author of Prolegomena to Homer, one of the first great works of classical philology. Schliemann and Dörpfeld's excavation at Mycenae was one of the earliest excavations in the field of classical archaeology. 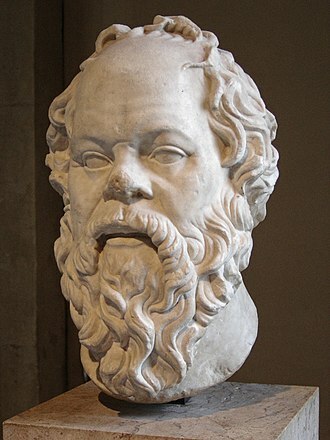 So influential was Socrates to classical philosophy that earlier philosophers are today known as pre-Socratics. Onion (Allium) cells in different phases of the cell cycle. Growth in an 'organism' is carefully controlled by regulating the cell cycle. Unmanned and manned spacecraft missions have been used to image distant locations within the Solar System, such as this Apollo 11 view of Daedalus crater on the far side of the Moon. 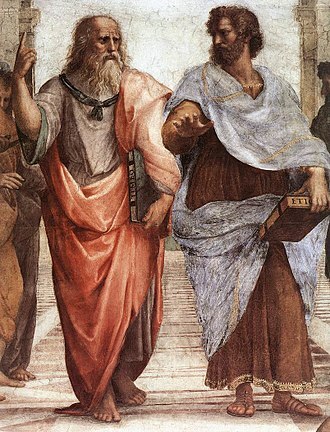 Plato (left) and Aristotle in a 1509 painting by Raphael. Plato rejected inquiry into natural philosophy as against religion, while his student, Aristotle, created a body of work on the natural world that influenced generations of scholars. Isaac Newton is widely regarded as one of the most influential scientists of all time. Herodotus (c. 484 BC – c. 425 BC), often considered the "father of history"
Iustitia ("Lady Justice") is a symbolic personification of the coercive power of a tribunal: a sword representing state authority, scales representing an objective standard, and a blindfold indicating that justice should be impartial. King Hammurabi is revealed the code of laws by the Mesopotamian sun god Shamash, also revered as the god of justice. The Constitution of India is the longest written constitution for a country, containing 444 articles, 12 schedules, numerous amendments and 117,369 words. 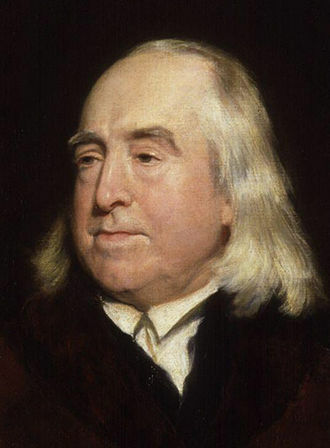 Bentham's utilitarian theories remained dominant in law until the 20th century. 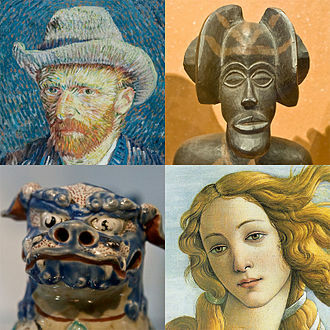 Clockwise from upper left: a self-portrait by Vincent van Gogh; a female ancestor figure by a Chokwe artist; detail from The Birth of Venus by Sandro Botticelli; and an Okinawan Shisa lion. 20th-century Rwandan bottle. Artistic works may serve practical functions, in addition to their decorative value. Franz Boas, one of the pioneers of modern anthropology, often called the "Father of American Anthropology"
Forensic anthropologists can help identify skeletonized human remains, such as these found lying in scrub in Western Australia, c. 1900–1910. A painting on an ancient Greek vase depicts a music lesson (c. 510 BC). In Greek mythology, the nine Muses were the inspiration for many creative endeavors, including the arts. People composing music in 2013 using electronic keyboards and computers. French Baroque music composer Michel Richard Delalande (1657–1726), pen in hand. Artifacts discovered at the 1808 Bush Barrow excavation by Sir Richard Colt Hoare and William Cunnington. Mortimer Wheeler pioneered systematic excavation in the early 20th century. Pictured, are his excavations at Maiden Castle, Dorset, in October 1937. Sunrise at Matobo Hills, Zimbabwe. The Batad rice terraces, The Rice Terraces of the Philippine Cordilleras, the first site to be included in the UNESCO World Heritage List cultural landscape category in 1995. Hungarian Grey Cattle in Hortobágy National Park. The Maison Carrée in Nîmes, one of the best-preserved Roman temples. It is a mid-sized Augustan provincial temple of the theocratic Imperial cult of the Empire. The Imperial cult was inseparable from that of Rome's official deities, whose cult was essential to Rome's survival and whose neglect was therefore treasonous. Traditional cult was a focus of Imperial revivalist legislation under Decius and Diocletian. Two main symbols of the medieval Western civilization on one picture: the gothic St. Martin's cathedral in Spišské Podhradie (Slovakia) and the Spiš Castle behind the cathedral. Part of an eleventh-century manuscript, "the Townley Homer". The writings on the top and right side are scholia. This picture shows terraced rice agriculture in Asia. Items from the Neolithic "Beaker culture"; the idea of defining distinct "cultures" according to their material culture was at the core of culture-historical archaeology. 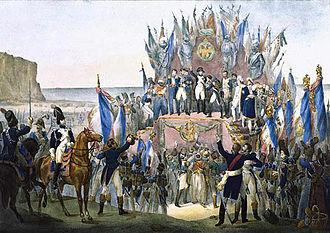 The rise of European nationalism in the 19th century would play a key role in the development of culture-historical archaeology. Tragic mask in bronze, attributed to Silanion. Museum of Piraeus, Athens, Greece. Even very young children perform rudimentary experiments to learn about the world and how things work. Aquatint of a Doctor of Divinity at the University of Oxford, in the scarlet and black academic robes corresponding to his position. (The Doctor appears here in his Convocation habit, rather than his full ceremonial dress.) From Rudolph Ackermann's History of Oxford, 1814.